BRYAN EATON/Staff photo. 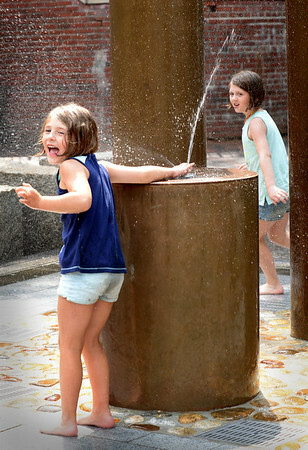 Sisters Ella Johnson, left, 5, and Ava, 8, play in the water fountain on Inn Street in Newburyport on Monday afternoon. They and their family from Haverhill visit Newburyport often.